More: French Lace / Guipure Lace / Swiss Lace / Shoes & Bag / Headties Click here to more cotton fabrics, or click here to contact us ! Q1. Can I get any discount on the lace fabric 9 A1:We can offer you discount according to your order quantity. We may arrange for the textile lace fabric to be shipped directly to the your customers according to your request More information, pls contact us ! More details or questions, pls feel free to contact me. We would like to introduce ourselves to yo u as a corporation, specializing in the export business of fabrics and we are glad to offer you ou r services as a trading firm, and would mention that we have excellent connections in the trade and are fully experienced. newest design shoe and bag set african fashion handbag match shoes TY0013 GREEN Packing&Shipping Contact Way Company name: Hangzhou Taya International. CO. Delivery time: available 3-5 days,for new design 15-25 days We can supply all kinds of fashion shoes and matching bags,wedding shoes and matching bag . SHOES SIZE We have many designs with various color avalable for your selection. If you are interested in our designs,please feel free to contact us by email or call us for more designs. Do you provide any samples9 We can provide samples and the sample charge can be negociated. We will return back the sample charge once customer placed the order which the quantity reach to the agreed MOQ. Q. Do you provid the price list and catalogue 9 Sorry dear, we do not have them, since the styles are so many and changed often. 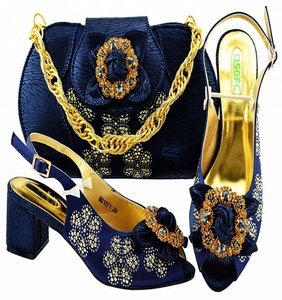 2016 italian ladies shoes and matching bags/wholesale shoe and bag set for nigeria party Shoes And Bags To Match We supply all kinds of style Italian Leather Shoes and Bags, Fashion Shoes and Matching Bags,Wedding Shoes and Matching Bag,Ladies Shoes and Matching Bags Item No. TY3323--Italian Shoes And Bags Material : Upper PU Insole PU Outsole Rubber Size: 38 39 40 41 42 Brand: Senwei Colors: Different color we can make, We can make different material and colors with sample for it. Delivery time:1-3 working days by DHL,3-7 working days by FeDex Other design for your reference Can supply: all kinds of style African Fabric ,Swiss voile lace ,Embroidery Lace ,Organza lace ,Velvet lace ,Big lace, Paillette lace ,French lace ,Handcut Voile lace, 100% cotton lace. Q: What's your lead time for a sample9 A: 10-15 days for new samples. Second, we have customers all over the world. You can confirm with our customers who are cooperating with us. 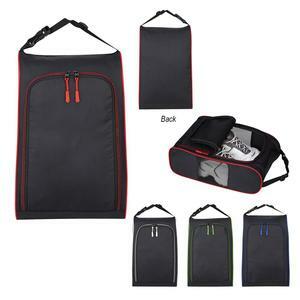 Alibaba.com offers 1,298,408 shoe and bag products. About 1% of these are promotional bags, 1% are women's casual shoes, and 1% are handbags. 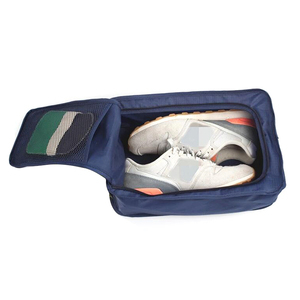 A wide variety of shoe and bag options are available to you, such as pu, polyester, and 100% polyester. You can also choose from free samples, paid samples. There are 1,298,201 shoe and bag suppliers, mainly located in Asia. The top supplying countries are China (Mainland), Hong Kong, and Pakistan, which supply 98%, 1%, and 1% of shoe and bag respectively. 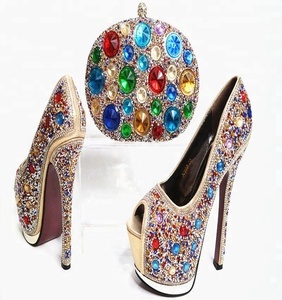 Shoe and bag products are most popular in North America, Western Europe, and South America. You can ensure product safety by selecting from certified suppliers, including 211,891 with Other, 127,668 with ISO9001, and 42,628 with ISO14001 certification.